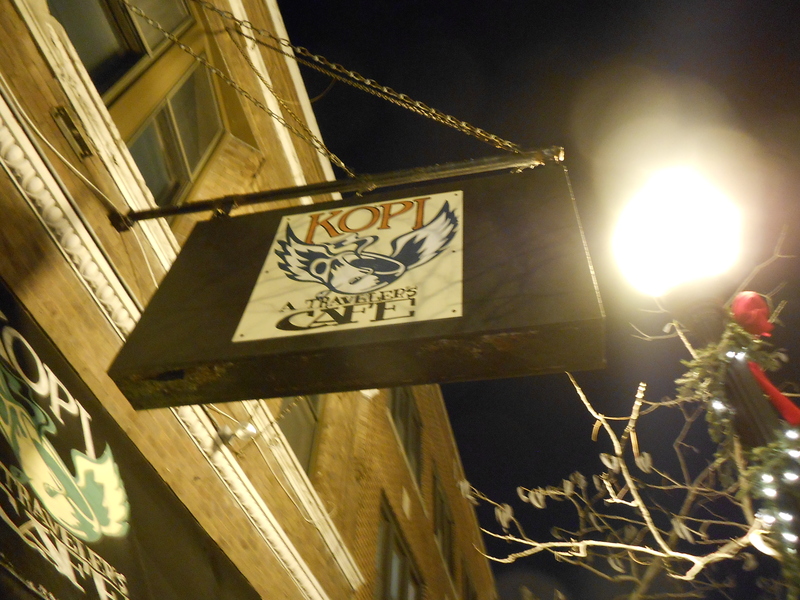 Kopi is a cafe in Andersonville located at 5317 N Clark St. 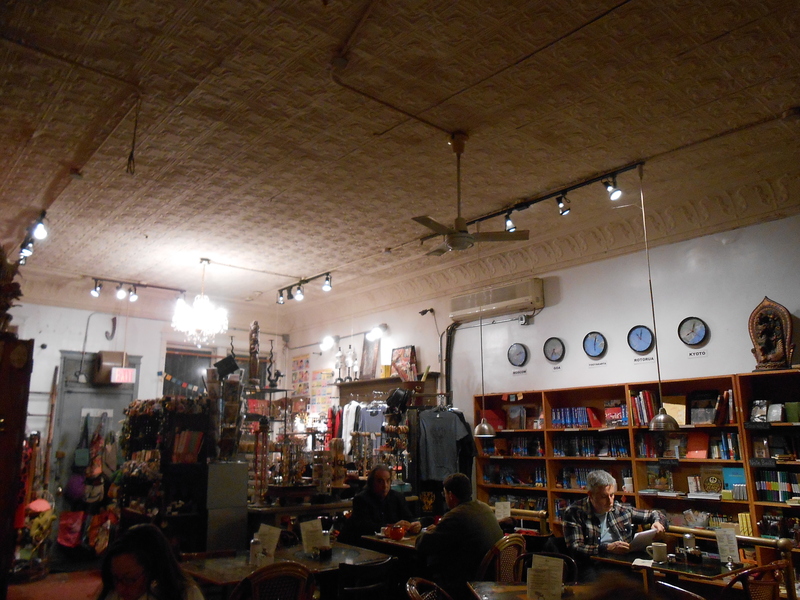 The cafe is filled with bookshelves of journals and travel guides, shelves and shelves of Lonely Planet. With a little shop of items for sale in the back. Art lines the walls that rotates and the shop occasionally hosts live music. The cafe has a very extensive list of drinks. Items varying from the juice, coffee and tea to wines. After struggling to pick something from the menu I picked their peppermint patty since it was cold outside. The peppermint patty is ghirardelli hot chocolate with green mint monin syrup and whipped cream. My friends got a mimosa that they greatly enjoyed, a thai iced tea, and a hot chocolate. I liked my hot chocolate but it’s flavor was very light to me, but my friends loved it. I also felt like the thai iced tea was very light in flavor, which may have been the condensed milk. I definably want to try more of their drinks, like their chai shake, dr. pucker or cherry cider just to name a few. Since we were in a bit of a hurry we didn’t order any food, but Kopi serves breakfast, lunch, dinner, and desserts. Some of their food is a bit pricey, but they have vegetarian and vegan options.